his week the American Diabetes Association (ADA) and the European Association for the Study of Diabetes (EASD) earlier this week released a joint position statement which includes approval of low-carbohydrate diets for use in the management of Type 2 Diabetes (T2D) in adults; PDF here. This comes right after Diabetes Australia went a similar route. It was pretty shameful that these advocacy groups were touting ways-of-eating (WoE) which came loaded with carbs and sugars, especially to people with diabetes. These changes are more than welcome, especially when looking at the current obesity epidemic. Granted, these WoE contain way more carbs than a true ketogenic diet but it’s a good step in moving away from carbs and sugars. To celebrate it’s time to fire up some duck eggs from my local farmers’ market. (Almost everything there is fruits and vegetables, so the two stands which feature eggs and meats are a very welcome sight to me.) This is six duck eggs with two chicken eggs for scale. With yolks much larger than those in a chicken egg, they also have a much higher fat content which lends a rich taste. There’s about 130 calories, 9 g protein, 10 g fat, and 1 g carbs per egg. 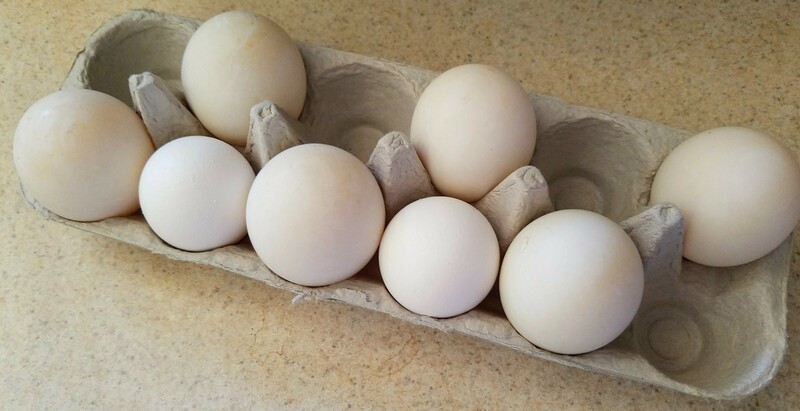 Duck eggs are used to elevate dishes from omelettes to homemade mayonnaise. 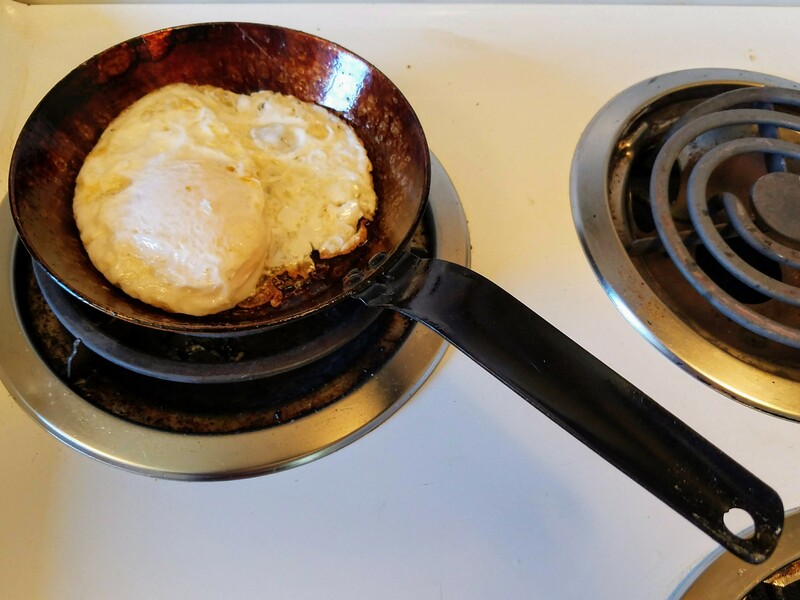 I cooked up one duck egg with some bacon fat in a small saucepan. There’s a lot more yolk than white, the white is chewier, and the yolk has a slightly smoky flavor.